As the sun-kissed days of summer begin to dwindle and you embark on the last lap of summer courses, it can feel a bit melancholy. It could feel as though you’ve spent your entire summer in a textbook and ambivalence could set in – you’re happy that the rigorous work of the course is ending, but that means summer is over too. Well, summer doesn’t have to be (that is, until the bitter chill of winter sets in). Summer is not a time or a place, it’s a feeling and all of us can capture and hold onto it forever with a couple of tweaks to our lifestyle. Summer creates the great notion that we’re all allowed a pass. A pass from our mundane work responsibilities, a pass from cleaning after work and a pass from things that generate negative energy. One way to hold onto summer forever is allowing yourself a pass throughout the year. Even though the weather may be colder than it was a couple of months ago, if you’re feeling stressed, you can still take a break and dance in your office, eat a chocolate bar (or two) and blast your music. Giving yourself a break throughout the entirety of the year allows you to possess the whimsical feel of summer. Another way to feel the bright rays of summer all year long is to enjoy your mornings. During the summer months, mornings seem to last an eternity, the morning seemingly fades into the afternoon and only when it is dark does it feel different. Whether it’s summer, spring, fall or winter, enjoy your mornings. Give yourself the quiet time to self-reflect, cook yourself a large breakfast, read. Taking time for yourself in the morning will provide a positive outlook on the day, even when it’s raining or snowing. You will feel warm inside. Lastly, read a summer themed book even in the dead of winter. Read of remote islands with beaches full of warm, white sand. Allow yourself to bask in the rays from the words of your book and escape the cold weather. Some titles we love are The Vacationers by Emma Straub and Tender is the Night by F. Scott Fitzgerald. As we said before, summer is a feeling that can be felt during any season. However, we suggest to soak up the sun on these last summer days. Please tell us, what are your personal summer joys that repeat all year long? Enrolling in summer courses can often times be daunting. For instance, you must sacrifice sun-drenched opportunities and cram an entire semester’s work into one month. It can often feel overwhelming and lead to the engulfing question of why. However, there is a bright, sunshine-y side to every situation. We wanted to share a couple of tips to maximize productivity in order for you to have a healthy balance between school and beach! Plan ahead. Summer courses require a larger work load because of their shorter duration; therefore, they require you to plan ahead. It is imperative to set aside an hour or two one day a week in order to plan out all of your upcoming tasks. Purchase a productivity planner which will help you visualize the tasks you need to complete and the expected time of completion. But, it does not stop there; you must actually follow through with your plans. Assignments are chaotic enough; don’t prolong stress by being unorganized. Make friends in your classes. Summer classes coupled with a quick scroll through social media, can often times lead to a feeling of isolation. Lucky for you, there are several other people in the exact same boat. Reach out to the people in your classes. Form study groups. Start group messages. This way, you can brave the summer months with some companions and hopefully form long-lasting friendships. Miriam Clifford, of Teach Thought (2011), suggests that a group should be comprised of three to four individuals, and she suggests that the group decides on shared goals. Give yourself a break. Dedicating time to assignments and attending class is important. However, education is supposed to be fun. In order to stay focused and have a clear mind, you must take a break. If you’re feeling overwhelmed, take a break. Grab coffee with a friend and communicate. Go for a walk. Swim. Even pause for five minutes and dance around your room. The most important tip we can offer is to be proud of yourself. Although summer classes (and all classes for that matter) require a lot of time, sacrifice and dedication, you are advancing your intellect and your career. Education is not awarded to all individuals; instead of feeling stressed – feel thankful. We hope these tips help our readers. We want to hear from you, how do you cope with stressful summer? Hello! 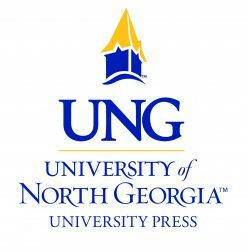 I am Cullen Ormond, the summer marketing intern at The University of North Georgia Press. I am a recent graduate from Georgia College & State University in Milledgeville, Georgia. I graduated with an undergraduate degree in Mass Communication with a concentration in journalism. Voltaire once said, “Let us read, and let us dance; these two amusements will never do any harm to the world.” Reading has always been fundamental to my personal growth. The authors I cherish have become significant figures in my life; F. Scott Fitzgerald will forever be one of my greatest friends. I love to learn about different cultures, however, travel is sometimes expensive. So, I find refuge in the novels that surround me and entrust them to provide an outlet to be immersed in different worlds. The degree I earned from my university and my undying adulation for words led me to the internship at the UNG Press. I am anxious to apply the skills I learned throughout my undergraduate degree and see them in practice. It will be interesting to learn how the publishing world functions and flourishes.